Jackson Hager is a senior history major from Austin, Texas who hopes to go on to graduate school for public history or archival studies. Jackson has been a student worker in Special Collections for several years and joins us as a guest blogger today as we continue our series on dormitories throughout the years at ACU. For many young men following in the footsteps of their fathers by attending ACU, spending their first two years on campus in the same dorms where their fathers lived has become somewhat of a tradition on campus. I followed in that tradition with my father, uncles, and cousins. Ever since its founding in 1955, Edwards Hall has remained a place of memories and stories for the generations of young men who have dwelled within its walls. Photograph of Edwards Hall from the front and right side. From the Sewell Photograph Collection. Before 1955, young male students had few options for places to live on campus. Before the university’s move to today’s location in 1927, men could find local houses or apartments to live in while students. In the 1930’s McDonald Hall was built to house the growing number of young men. In the later years, married men were able to take up residence in the Hutments, north of McKinzie Hall. 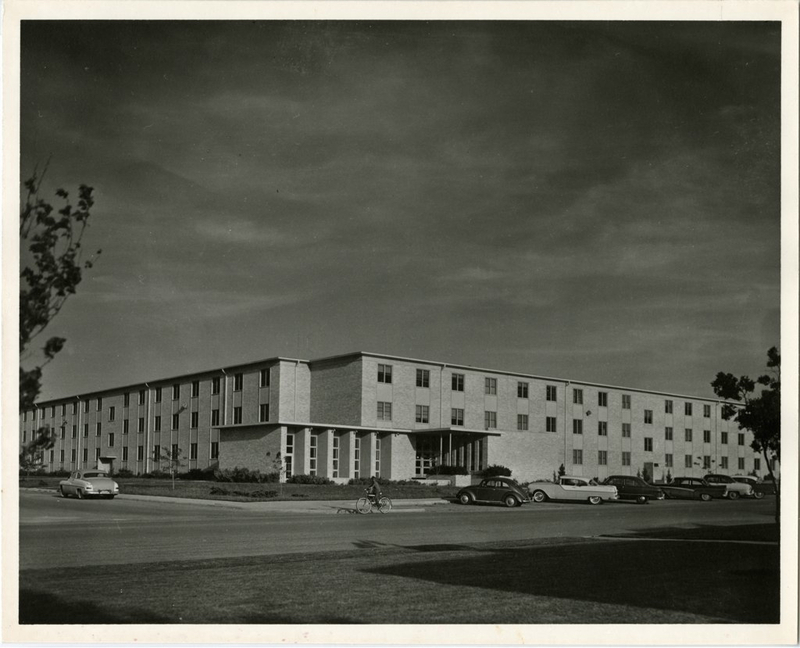 In 1952 Mabee Hall was constructed. And finally, in 1955, Edwards Hall was constructed, thanks in part to the donations of land and money from famed Texas rancher William Edwards. 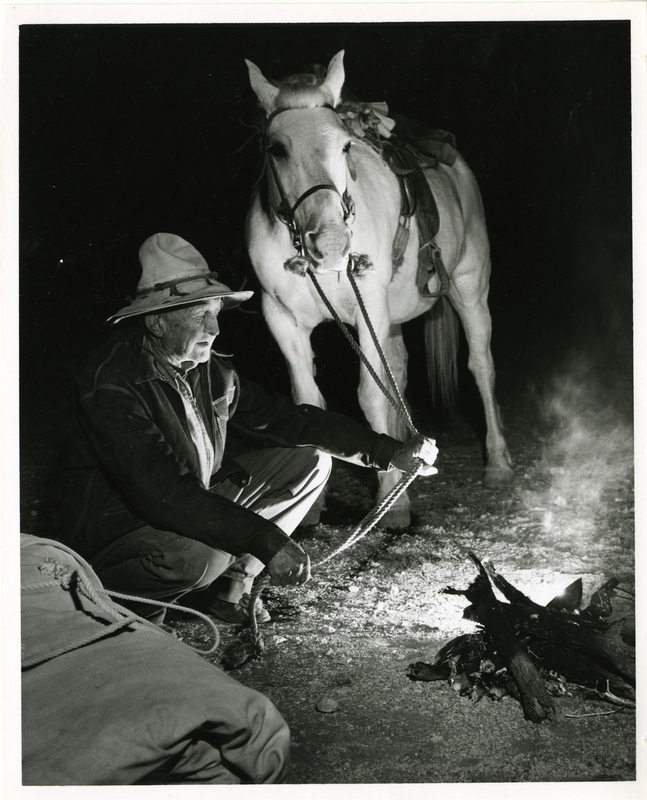 William Edwards and a horse by a campfire on Edwards’ ranch. From the Sewell Photograph Collection. The construction of Edwards Hall was a part of a larger burst of expansion on Abilene Christian College’s campus, which included Catching Cafeteria, Nelson Hall for women, and the much beloved Bible Building. The quality of the facilities were well-known with spacious rooms, beautiful outdoor areas to grill, and according to 1979-1980 ACU Catalog, air-conditioning. All these features lead to cost of living in Edwards Hall for the 1979-1980 school year to be $209. Mabee, on the other hand, only cost $189 due to the lack of air conditioning. Despite all the changes that have come to the campus of Abilene Christian University, life in Edwards Hall remains relatively the same. Young men study, laugh, pull pranks, grow together spiritually, and continue to contribute to the wonderful culture that exists here on campus. Edwards Hall may seem like only a building, but it is so much more that. It has a place where ACU history is made, and where friendships are formed for a lifetime. View of the Abilene Christian College campus from the roof of McKinzie dormitory. The “L” shape of Edwards Hall is visible in the upper left of the photograph. From the Sewell Photograph Collection. This post is part of our ongoing series featuring photographs from our collection. Explore more of our digitized photos (and other items) over on Digital Commons @ ACU. 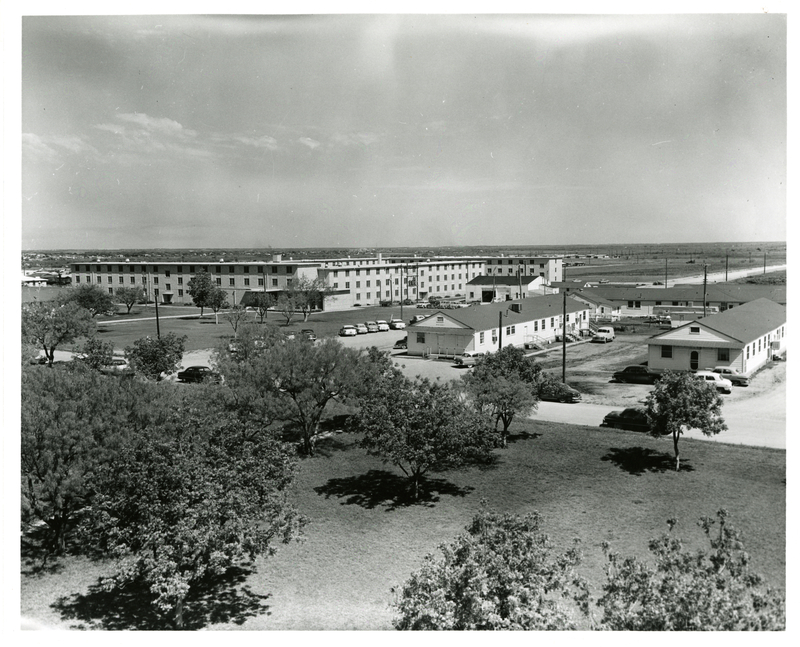 As students arrive on campus this fall, we’re taking a look back at dorm life through the years at Abilene Christian University, starting off with Daisy Hall. Don’t recognize that name from a recent walk around campus? That’s because Daisy Hall was located at the Childers Classical Institute (and then in 1917 the newly renamed Abilene Christian College) campus on North 1st street near the center of Abilene. 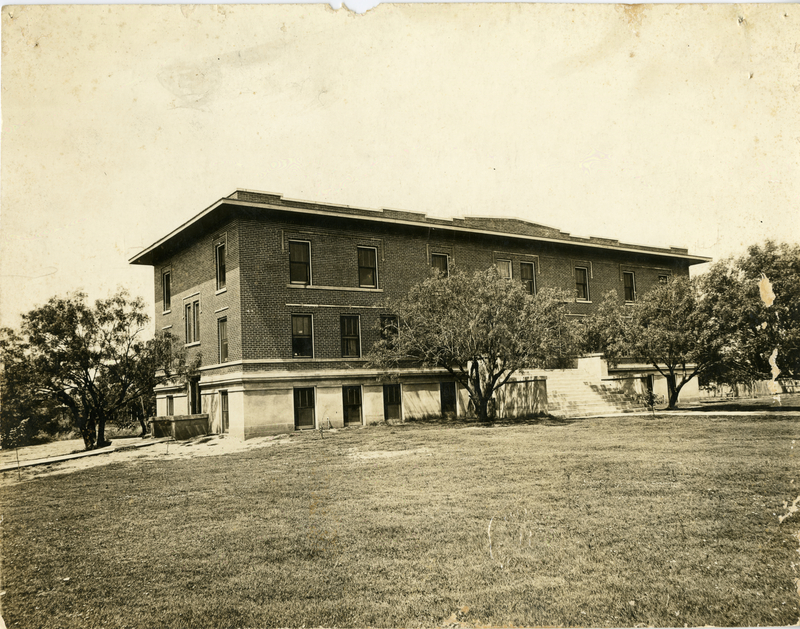 Daisy Hall on the Abilene Christian College campus, circa 1914-1915. The new sidewalk pictured was built by the Zellner Literary Society as a memorial at the end of the 1914-1915 school year. From the Sewell Photograph Collection. This is a three story brick structure, modern and first class in every respect. It is heated with steam and lighted with electricity. There are baths, with hot and cold water on each floor. Each floor has completely equipped toilet rooms. Each room has individual clothes closets and a lavatory with running water. Most of the rooms are furnished with single beds, and all of them with nice dressers, tables, chairs, etc. The reception parlor, library and dining room are decorated with Sister Sewell’s beautiful oil, pastel and water color pictures, and hand painted china. The library contains Brother Sewell’s excellent collection of more than six hundred books. Brother and Sister Sewell live in the building, with other members of the faculty, and give their very best thoughts and efforts to making it a pleasant and wholesome home for all girls who are trusted to their care. 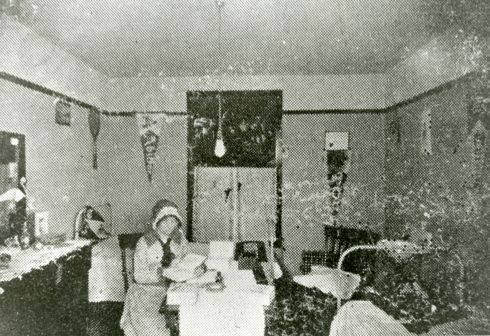 Photograph of a student reading in a Daisy Hall bedroom, circa 1915-1916. From the Sewell Photograph Collection. 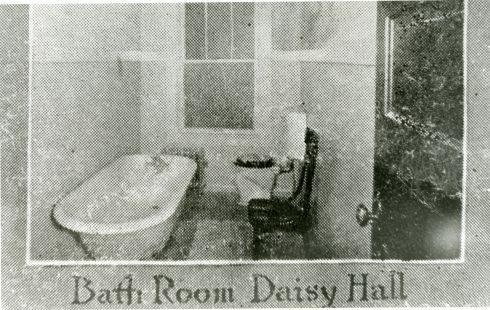 Daisy Hall bathroom, circa 1915-1916. From the Sewell Photograph Collection. 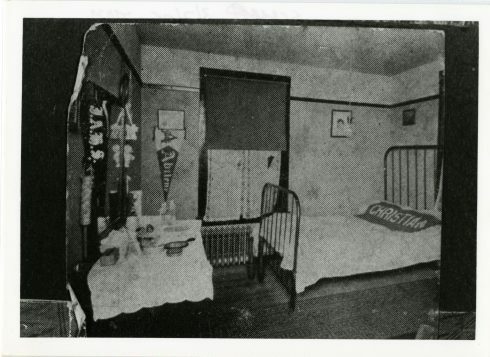 Daisy Hall bedroom, circa 1915-1916. From the Sewell Photograph Collection. According to the 1919-1920 Catalog of Abilene Christian College, board in Daisy Hall ranged from $59-$75 per semester, depending on the term and if you preferred a north room or a south room. For comparison, tuition for the same academic year ranged from $22.50 for the winter term all the way up to $27.50 for the fall term. 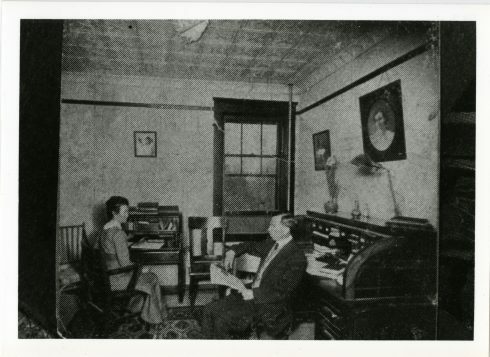 The administration office in Daisy Hall, circa 1915-1916. From the Sewell Photograph Collection. 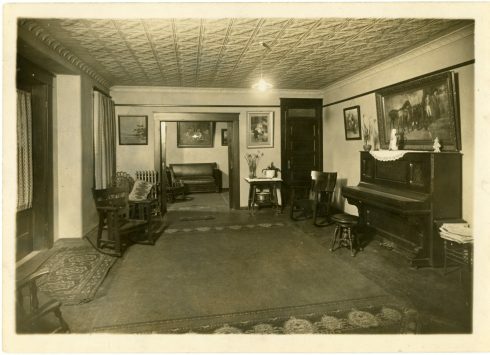 Parlor of Daisy Hall, circa 1919. The photograph was taken from Carrie Acuff Brasher’s scrapbook and is part of the Sewell Photograph Collection. 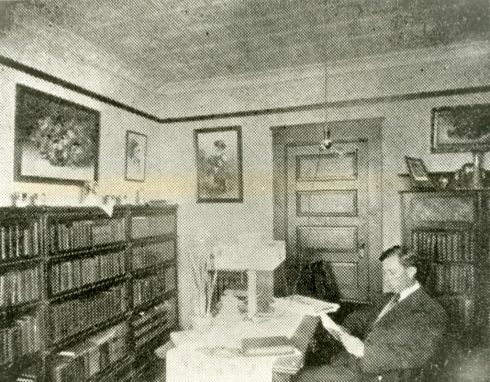 The Library in Daisy Hall, circa 1915-1916. President Jesse Sewell is pictured reading a book. From the Sewell Photograph Collection. 6:30-7:00__ Arise and arrange rooms. Daisy Hall was used until the ACC campus moved to its current location in 1929. Are you interested in the history of a particular ACC or ACU dormitory? If so, find us on Twitter (@DISCAatACU) and let us know!